Spread out over six small islands in the Florida Keys, Islamorada is a peaceful village best known for its sport fishing and watersports. The area offers almost endless opportunities to have fun out on the water; popular activities include boat tours, snorkeling excursions, kiteboarding and wakeboarding, and encounters with dolphins and other marine life. There are also plenty of excellent tourist amenities, including seafood restaurants, tropical-themed bars, and comfortable hotels. 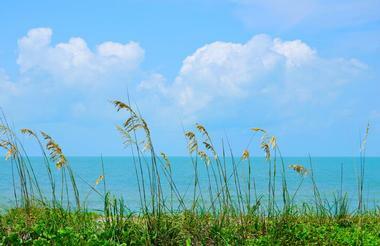 Whether you're looking for an action-packed adventure or a relaxing beach vacation, Islamorada can deliver. Situated on Lower Matecumbe Key, Anne's Beach is a popular white sand beach named after the environmentalist Anne Eaton. The water here is shallow and warm and there are typically very few waves, making it perfect for swimmers of all abilities. The beach is popular with kiteboarders as well; foot protection is recommended for beginners, as there is often sea life underfoot in the water. Amenities include restrooms, two parking lots, several covered picnic areas, and a charming wooden boardwalk that stretches for half a mile through the scenic mangroves and wetlands on the shore. Although the History of Diving Museum was only opened to the public in 2005, it houses a collection of diving equipment and memorabilia that has been carefully collected over the last 40 years. Exhibits cover topics like the history of diving, the stories of well-known local divers, and the influences behind the book 20,000 Leagues Under the Sea. 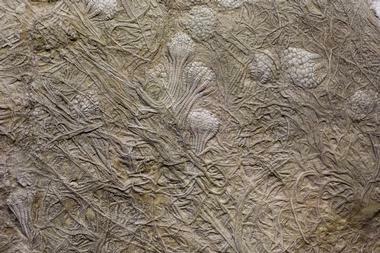 Guided tours are available for groups of 15 or more people. The museum is open between 10 a.m. and 5 p.m. every day of the year except for select holidays, and a free public program is held on the third Wednesday of every month. Although it's conveniently located only a few hundred yards from U.S. Route 1, Indian Key Historic State Park can only be reached by boat or by kayak. The 11-acre island is no longer inhabited, but it still holds the remains of a ghost town that was constructed in the early 1800s. Visitors can now explore the island by strolling through the recreated street system; other popular activities here include canoeing, kayaking, and fishing on the island's flats. The park is open between 8 a.m. and sunset every day of the year, and a small entrance fee is charged. 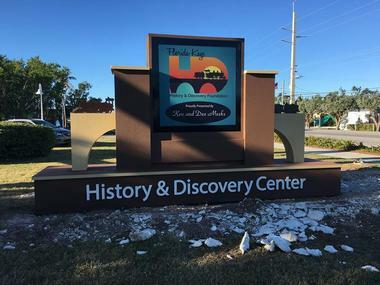 Situated inside the Florida Keys Conference Center, the Keys History and Discovery Center is dedicated to preserving and sharing the colorful history of Islamorada and the Florida Keys. The beautiful two-story building encompasses 7,500 square feet right on the waterfront, and in addition to a state-of-the-art movie theater boasts a selection of permanent exhibits created by the same company that was responsible for designing St. Petersburg's Salvador Dali Museum. The center is open from Thursday to Sunday from 10 a.m. until 5 p.m., and free admission is offered for children 13 years and younger. Consistently rated one of the best restaurants in Islamorada, Midway Cafe & Coffee Bar offers a wonderful selection of baked goods, hot and cold beverages, and tasty breakfast and lunch dishes. The coffee served here is roasted locally, and all breads and baked goods are made fresh from scratch right in the restaurant. The food is made with fresh, local, organic ingredients whenever possible, and there are plenty of gluten-free and vegetarian options. In addition to the excellent food and beverages, the cafe also boasts a small retail section full of eclectic gifts and souvenirs. The Florida Keys are famous for their Key lime pie, and the Blond Giraffe Key Lime Pie Factory boasts some of the best Key lime pie in the world. All pies are made fresh daily; in addition to classic Key lime pie, customers can try unique desserts like frozen Key lime pie dipped in chocolate and served on a stick, Key lime pie cookies, and even Key lime candies. Coffee, packaged sweets, and retail merchandise can be purchased as well. 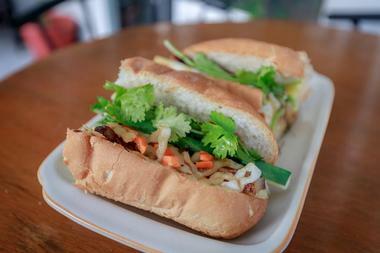 The restaurant is open seven days a week between 10 a.m. and 9 p.m., and outdoor seating is available. 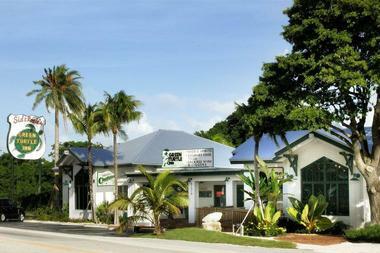 Located in Robbie's Marina, the Kayak Shack offers everything you need to explore the beautiful Florida Keys by kayak. Customers can choose from three excellent kayaking locations: Indian Key State Park, Lignumvitae Key Botanical State Park, or the mangrove tunnels. No experience is required; the company offers guided kayak tours for paddlers of all levels, including a relaxing sunset tour through the mangrove tunnels and saltwater flats. There are 1 and 2-hour jet ski tours also available, and all 2-hour tours include an additional half hour of snorkeling as well as a free half-day kayak rental. Formerly a quarry used to build the Overseas Railroad, Windley Key Fossil Reef Geological State Park allows visitors to actually walk through a fossilized coral reef full of fossils formed approximately 125,000 years ago. Guided tours of the park are available between December and April for a small fee, and visitors can take self-guided tours year round thanks to the park's five short interpretive trails. The visitors center offers a variety of exhibits on the history of the park and the railroad, and a number of picnic tables can be found scattered throughout the quarry. A Family Fun Boat Tour Company knows that a trip to Islamorada isn't complete without spending some time out on the water, and so they offer private guided boat trips that allow visitors to experience the beauty of the Florida Keys. A wide range of tours are available; popular options include trips out to the Islamorada sandbar, evening sunset cruises, and snorkeling tours that bring guests to the only living coral reef in the continental United States and include all equipment and lessons for those who need it. The boats can hold up to six passengers, and tours are available every day of the week. Backcountry Cowboy Outfitters offers a variety of high-quality equipment rentals for visitors interested in exploring the beautiful nature around Islamorada. There are a number of popular camping spots and state parks in the area, and the company is happy to outfit campers with tents, sleeping bags, and whatever else they might need. Kayaks and standup paddleboards can be rented by anyone who wants to enjoy the water, while bike rentals are available for those who want to take advantage of the picturesque pathways found on the islands. All bike rentals include helmets and combination locks, and local delivery is available. If you're interested in kayaking or standup paddleboarding during your time in Islamorada, Beach Bum Paddle Sports can provide everything you need for a fun day out on the water. They rent out accessories like drybags and anchors in addition to paddleboards and kayaks, and all equipment can be rented by the hour, by the day, or by the week. A complimentary home delivery service is included with daily and weekly rentals. The company is also proud to offer paddleboarding lessons and guided eco tours that bring visitors through mangrove forests and provide the opportunity to spot wildlife like turtles, manta rays, and manatees. 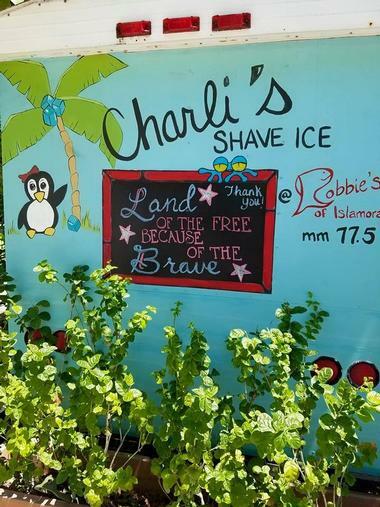 Found in Robbie's tropical open-air market, Charli's Shave Ice is the perfect way to cool down on a sizzling summer day. The gourmet syrups are made with 100% cane sugar, and in addition to the shave ice, visitors can choose from a selection of tasty treats like organic ice cream and Key lime pie coated in chocolate and served on a stick. Charli's is open Fridays, Saturdays, and Sundays between 11 a.m. and 4:30 p.m., and there are plenty of things for customers to look at in the market while they enjoy their shave ice. Owned and operated by experienced fisherman Captain Jon Reynolds, Drop Back Fishing Charters is an excellent choice for anyone interested in reef, wreck, or offshore fishing in the waters around Islamorada. The company's 40-foot sport fishing boat was carefully constructed in the Florida Keys by a long-time fisherman and boat builder, and it's equipped with high-quality equipment and fishing tackle. Customers can choose between half-day, three-quarter-day, and full day tours; 3-hour evening sunset fishing tours are sometimes available as well. 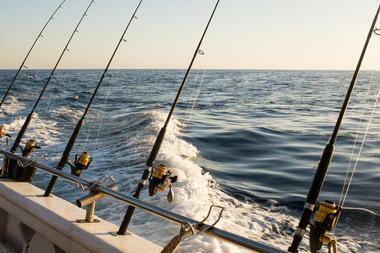 All tours include fishing licenses and fish cleaning services, and the boat can hold up to six passengers. Postcard Inn On The Beach is a retro-style hotel located along picturesque St. Pete Beach, located approximately 11 miles from downtown St. Petersburg. The hotel, which has been acclaimed by international publications such as Travel + Leisure, offers 196 chic surfer-styled guest rooms and suites, decked out in colorful seaside decor and surf-themed photography. All rooms offer delightful modern amenities such as flat screen televisions and free wireless internet, with upgraded cabana rooms offering direct connections to the hotel's pool area. 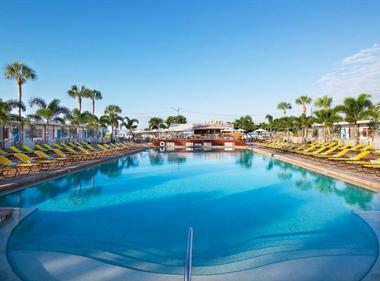 Guests can enjoy relaxing Adirondack chairs or beach volleyball courts around the hotel's spacious outdoor pool or try delicious "Floribbean-style" fare at the hotel's Boathouse Kitchen and Bar. Established in 2017, the Florida Keys Farmers Market is the place to go for local food, art, and other specialty items. The vendors rotate every week, but items for sale typically include locally grown produce, handmade jewelry, and fresh seafood. Colorful artwork by Miami artist DaveL can be found all throughout the space, providing many excellent photo opportunities. 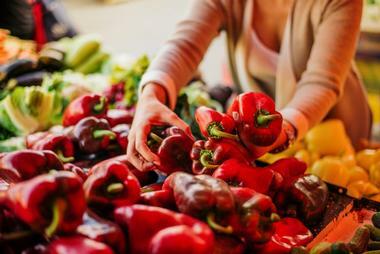 The market is held every Sunday between 10 a.m. and 3 p.m. in the parking lot of Islamorada Gardens, and a special event known as Growfest is held every October. Free parking is available, and pets on a leash are welcome. 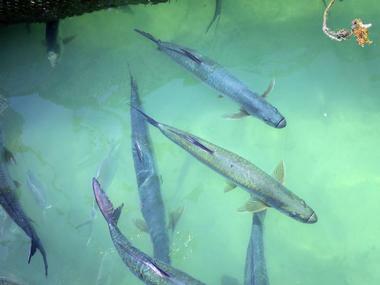 Founded by a local food enthusiast, Florida Keys Food Tours specializes in unique food and history tours that introduce visitors to the fascinating culture and delicious cuisine of Islamorada. The standard walking tour lasts approximately 3 hours and brings guests through the Rayburn neighborhood, as seen in the popular TV show Bloodline. 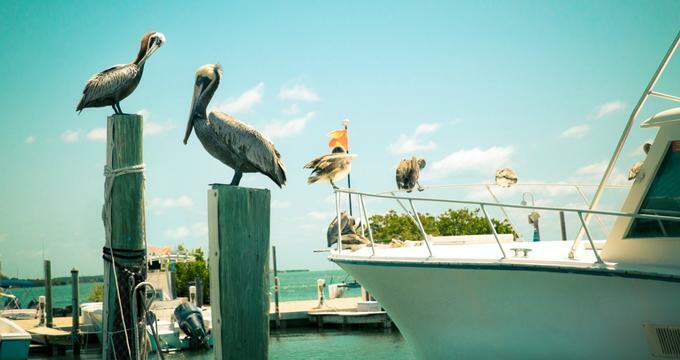 Highlights include a stop at the only operational brewery in the Upper Keys, the chance to see several Bloodline filming locations, and several restaurants featured on the show Diners, Drive-ins and Dives. Custom private tours are also available for groups of most sizes; options include sunset picnic cruises and luxurious "limo lunches". 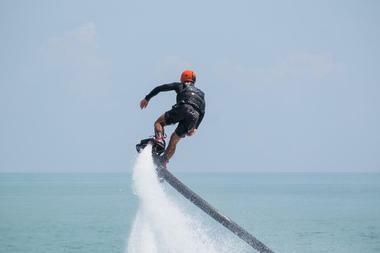 As the official jetpack flight center of the Keys, Florida Keys Jetpacks offers the opportunity to swoop around above the water on a water-propelled jetpack. No physical effort is required to fly the jetpacks, and most first-time users are able to take to the skies in less than 5 minutes from the time they strap the jetpack to their feet. Safety is the company's first priority; certified flight instructors use remote technology to keep the jetpacks stable, and all pilots are given special helmets with communication systems. Jetpack experiences typically last between 1 and 2 hours with 30 minutes of guaranteed flight time. The Green Turtle Inn Restaurant has been an Islamorada icon since it was first opened in 1947, and it's still serving up the same sort of authentic Florida Keys-style seafood that made it so popular in the first place. The restaurant is proud to serve locally sourced seafood as well as more exotic catches from the Gulf of Mexico and beyond, but they're also happy to cook your catch exactly as you like. Special events are held several times a week, including live music on Wednesdays, ladies' night on Tuesdays, and prime rib specials every Saturday evening. Based out of Robbie's marina, the Happy Cat snorkel boat is a 43-foot catamaran that brings guests on snorkeling trips to two different reefs: Alligator Reef and Cheeca Rocks. The trip out to Alligator Reef is the most popular choice; in addition to offering the opportunity to snorkel in crystal-clear water of various depths, it includes a stop at a scenic lighthouse. The Happy Cat is always manned by both a captain and a mate, and all snorkeling equipment is provided. Trips depart at 12 p.m. and 3 p.m. every day, and the boat can carry up to 30 passengers. 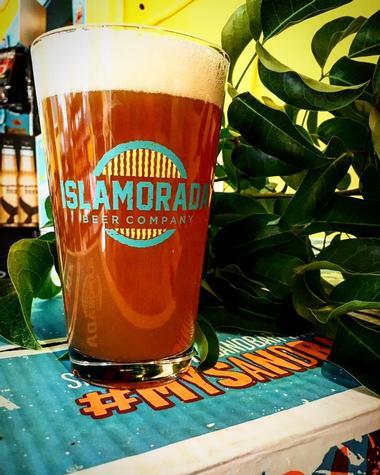 Locally owned and operated since 2014, the Islamorada Beer Company Brewery and Tasting Room prides itself on making high-quality craft beer inspired by the Islamorada lifestyle. 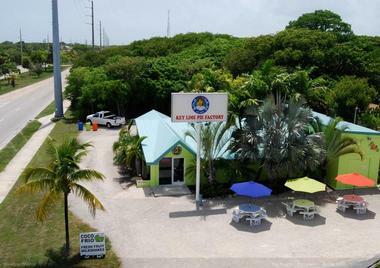 The company's tasting room, brewery, and gift shop can be found just off the Overseas Highway; in addition to the delicious beer, customers can purchase beer accessories, stickers, and men and women's apparel. An indoor sandbar gives the taproom a pleasant beachy feel, while a large outdoor area boasts a volleyball net and plenty of other games for children to enjoy while their parents sample the beer and tour the brewery. The waters around Islamorada are famous for their excellent scuba diving, and Key Dives is a full-service dive company that offers diving, snorkeling, and spearfishing services. Divers can either bring their own equipment or rent it from the dive shop; either way, the company offers a complimentary valet service that ensures your equipment will be set up and ready for each dive without you having to lift a finger. 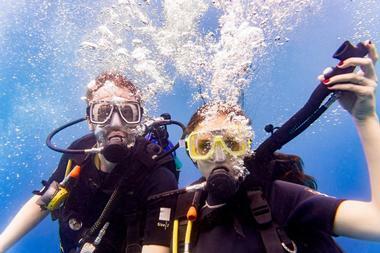 Key Dives brings divers to more than 60 different dive locations, and all tours are led by highly qualified guides. Both half-day and full-day snorkeling and spearfishing tours are available as well. 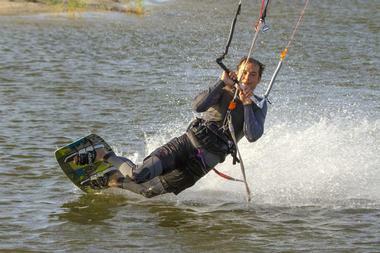 Specializing in watersports like paddleboarding, kiteboarding, and wakeboarding, oTHErside is a unique company that offers equipment rentals, lessons, and tours. At least two people are required to book a tour; options include LED-lit night paddleboard tours, kayak trips to a nearby boat graveyard, combination paddleboard and snorkel trips to the Alligator Reef Lighthouse, and standup paddleboard yoga classes. The company also owns a 7-acre saltwater lake with a wakeboard park, which can be used by wakeboarders of all abilities. Equipment can be rented by the hour, the day, or even by the month, and delivery is available upon request. 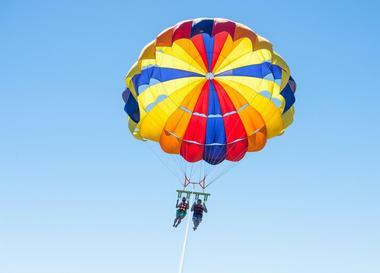 If you'd like to soar 600 feet above the beautiful blue waters of the Atlantic Ocean, Purple Island Parasail is a must-do during your time in Islamorada. Passengers can choose to fly in groups of one, two, or three, and the time in the air typically lasts between 10 and 12 minutes. It's not uncommon to see marine animals like dolphins, manatees, and sea turtles while you're up in the air, and passengers can choose to get dipped into the water as long as the weather permits. Reservations can be made in advance, and observers can ride in the boat for a fee. 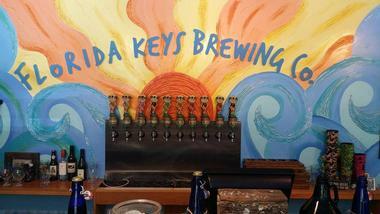 Consisting of both a brewery and a taproom, the Florida Keys Brewing Company is the first microbrewery in the Upper Florida Keys. The company brews approximately 30 different types of beer each year, and the taproom always offers a selection of staples as well as seasonal beers and limited releases. The FKBC taproom is currently the only place customers can buy their beer; options include cans, bomber bottles, and refillable growlers. There are also plenty of things to do, even for visitors who aren't interested in the beer, including a selection of games and a display of local artwork.